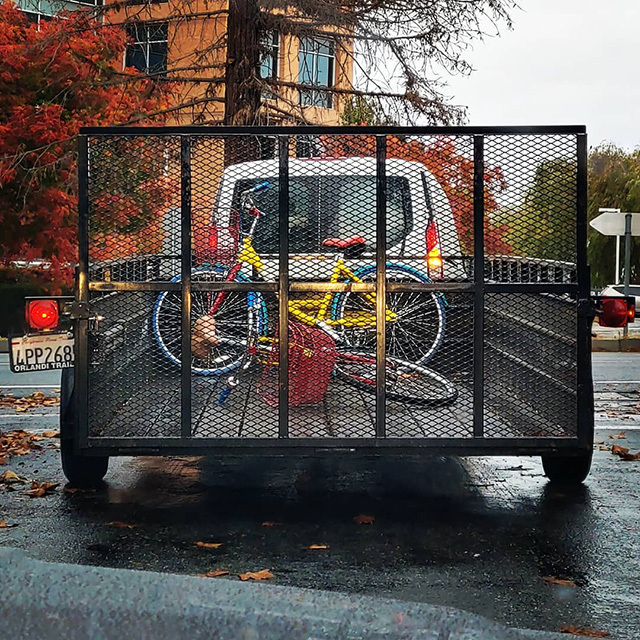 Here is a photo of a truck with a bunch of Google bikes stuffed in the back of it. I guess this trucks drives around the Google offices to relocated bikes left? Or maybe they are picking up stolen bikes. I don't know.